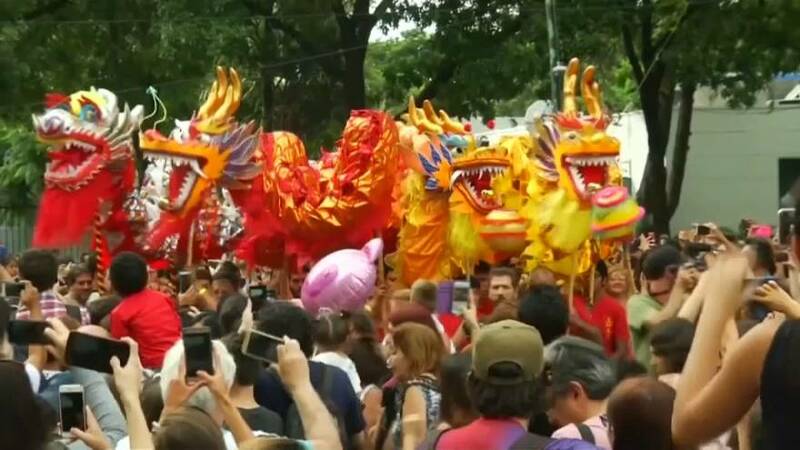 Traditional Chinese music and performances were held including the traditional Lion Dance complete with ornate lion costumes and music from drums, cymbals, and gongs. Of course, no Lunar New Year celebration would be complete without the famous Dragon Dance with a long procession of Chinese dragons. Attracted by Argentina's open immigration policy, many Chinese citizens migrated to Buenos Aires shortly after World War II in search of a better life. Estimates put the number of Chinese-Argentines in the country at over 120,000.